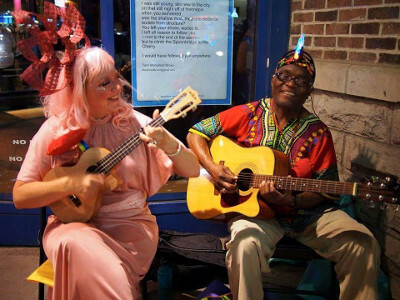 On Wednesday, August 8th from 1 to 2 pm out in our greenspace, the library will be hosting a very special Summer Reading event featuring “Music of the Congo” with Congolese guitarman, Siama,along with his partner, Dallas Johnson! Siama has toured the world and recorded hundreds of radio hits from 1971-1995. His music combines elements of traditional Congolese music and sounds from East African dance floor, with familiar elements from Delta Blues and even reggae and calypso. Everyone’s encouraged to play African hand percussion and to sing along in Kikongo, Swahili, and Lingala. This event was paid for with funds from the Minnesota Arts & Cultural Heritage Fund through a SELCO Legacy grant! Questions? Call the library at 896-READ! Join us at the library on Monday, June 18th from 7 to 8 pm as we learn all about global games! 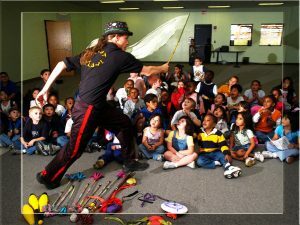 We’ll explore the fun side of world cultures as kids are introduced to a variety of toys and games from different countries. There’s plenty of time for everyone to play and show off what they’ve learned through featured mini-performances of their own. 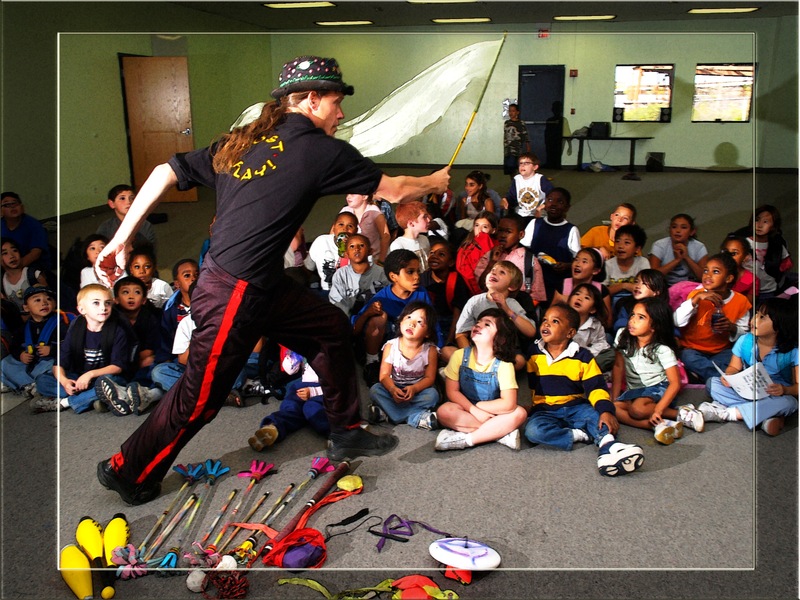 Global Games helps kids develop skills and build self-esteem while gaining new respect for world cultures. In case of inclement weather, we’ll meet up at the Houston Community Center. This event was paid for in part by funds from the Minnesota Arts & Cultural Heritage Fund thanks to a SELCO legacy grant. Questions? Call the library at 896-READ! Library CLOSED on Memorial Day! 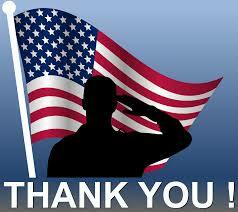 The Houston Public Library will be closed on Monday, May 28th in observance of Memorial Day. 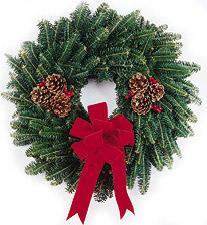 Have a safe and happy holiday, everyone. We’ll see you during our regular hours of operation on Tuesday! On Wednesday, February 14th at 7 pm, the Friends of the Library held their 2nd Annual Quilt & Basket Raffle, raising over $1500 to support our upcoming 2018 Summer Reading Program! 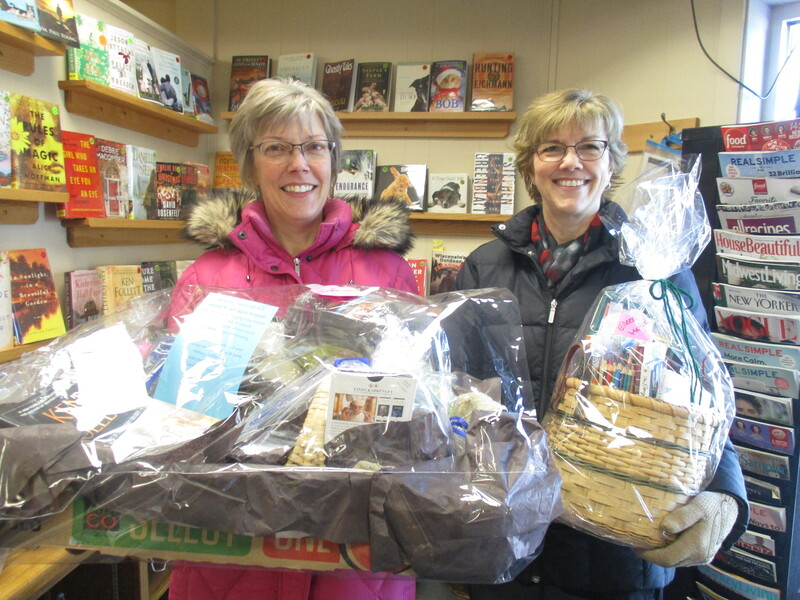 Our thanks go out to everyone who participated, whether you made a basket or purchased a ticket. We are so lucky to have such wonderful community support. The winner of the beautiful hand-made quilt is Kate Evenson! A special thanks goes out to Friend of the Library, Janelle Kelleher, for making and donating the quilt once again this year AND to Thrivent Financial For Lutherans for providing the seed money for this fundraising project through their mini-grant program. Here are the themes for our next few storytimes! Join us from 10 to 11 am every Saturday morning as we read books, make a craft, sing a song, do a little science experiment, etc! Geared towards children 0-8 and their parents! Questions? Call the library at 896-READ. Weather permitting, all other days will follow our regular schedule. Questions? Call the library at 896-READ! Happy Holidays! This Saturday, October 7th, the Friends of the Library will be hosting their annual Fall Book Sale in conjunction with Houston’s city-wide garage sale . 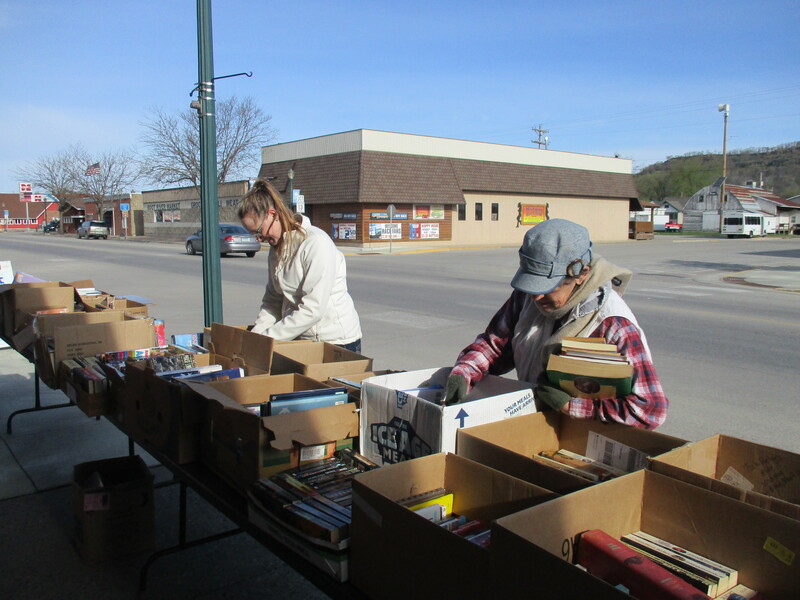 Weather permitting, we’ll be out on the sidewalk in front of the library from 8 am to noon with donated and withdrawn materials for sale. As usual, it’s a Take-What-You-Want, Pay-What-You-Want event with all proceeds going to support our 2018 Summer Reading Program. Questions? Call the library at 896-READ! The End of 2017 Summer Reading! 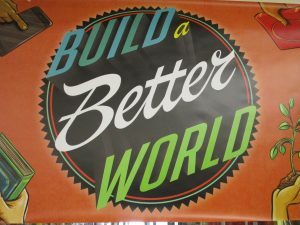 They say that all good things come to an end, and it’s true: our 2017 Summer Reading Program, “Build a Better World,” finishes up at 4 pm on Saturday, September 2nd. Kids need to turn in any completed weekly reading challenges by then to be included in our final drawing of the summer for a $10 Barns & Noble gift certificate. We’ll also be hosting one last drawing for four free ice cream cones from Sub Zero for all the kids who stop by this week and check out one last book (or two or three!)! Questions? Call the library at 896-READ! With the solar eclipse coming up in mid-August, we thought it might be a great time for kids in the area to learn a little more about that big mysterious world up above us in the sky! 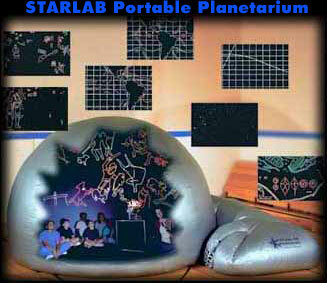 Join us at 2 pm on Monday, August 7th at the Houston Elementary School gym for an exciting program featuring an inflatable planetarium that showcases 3,000 stars of different colors and sizes, as well as the constellations. Space is limited to 60 people, so don’t be late! This special Summer Reading event was paid for through a SELCO Legacy Grant through the Minnesota Arts & Cultural Heritage Fund. And thanks to the elementary school for providing a space big enough to hold the planetarium! Questions? Call the library at 896-READ! 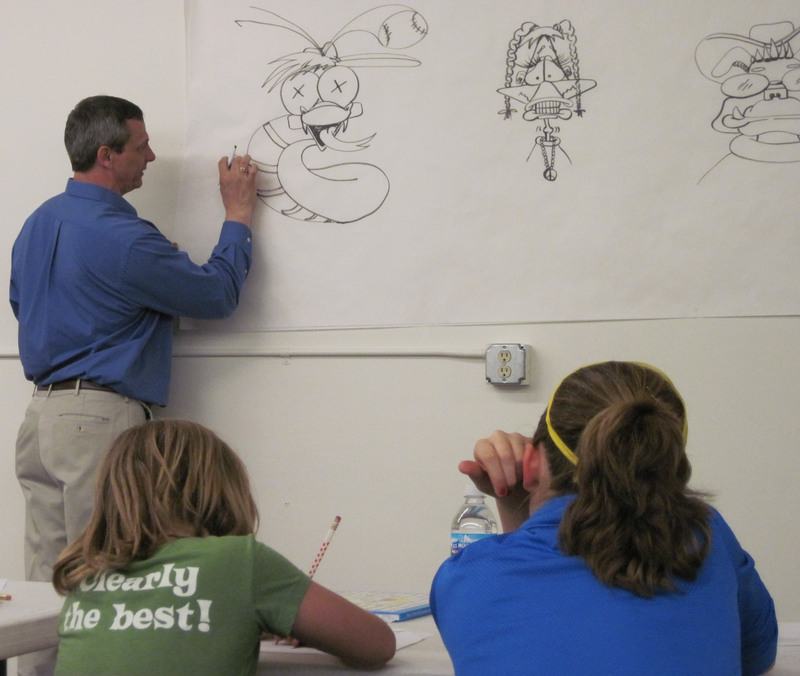 Kids’ Drawing Class with artist Gary Harbo! Monday, July 17th at 2 pm at the Houston Community Center, the library will be hosting a one-hour drawing class for kids with artist Gary Harbo. In keeping with our 2017 Summer Reading theme of “Build a Better World,” Gary will be teaching kids how to draw machines that have been invented to make the world a better place for us all. As Gary puts it, “to build a better world in the physical sense requires machines that are designed to do powerful jobs, such as bulldozers to build roads, semi-trucks to haul products to market, tractors to plant and harvest crops, airplanes and trains to move people, as well as cranes to build schools, city buildings, and skyscrapers.” Recommended for kids going into 2nd grade and up! This program was made possible thanks to fund from the Minnesota Arts & Cultural Heritage Fund through a SELCO Legacy Grant. Questions? Call the library at 896-READ!